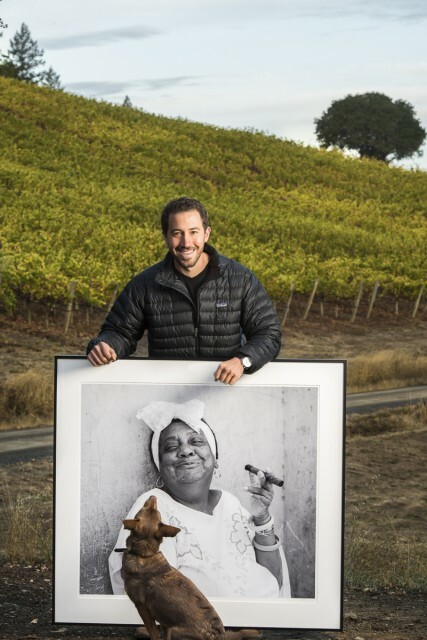 Not only was Jesse Katz the youngest ever hired head winemaker in the US when he joined Lancaster Estate in 2010 by way of Screaming Eagle, he also counts singer-turned-actor Justin Timberlake among his friends, helping the curly-haired crooner craft a wine for his wedding to actress Jessica Biel. To celebrate the nuptials in Italy, Katz created Blue Ocean Floor 2009, a red blend from Sonoma County. He recently launched a solo project, Devil Proof Vineyards, where he makes a single vineyard Malbec from the Alexander Valley. His photographer father, Andy Katz, took the black and white photo that graces the label of a Cuban woman smoking a cigar. The name Devil Proof comes from the Cuban theory that if you live well and drink well then the devil can’t get you. Traveling to unique parts of the world with family and friends. Malala Yousafzai, the Nobel prize winning activist for female education. Balance: it’s very important, always talked about, but not always found. Traveling with my family or at the tail end of a great harvest. It’s one of my favorite times of year because I only have to focus on one thing. To be an accomplished musician. In my work, I’ve been blessed to work in some of the world’s best wineries and appellations. This has allowed me focus my passion and skill on winemaking dedicated to reflecting the land, vineyards, and climates that grow the fruit, while keeping it natural by using native or indigenous yeasts. In my personal life, getting engaged to Sarah. Outside of Healdsburg? I would like to spend some extended time in Bordeaux at some point in my life, but Healdsburg is at the top of my list. My art collection from my father, Andy Katz. Atticus Finch from To Kill a Mockingbird. I don’t have many but I wish I had documented my travels, particularly as a child, in a better way. Make everything I am a part of better. Who would be your ideal dinner party guests and what three wines would you serve? My dinner party would be a meeting of mighty minds, so I’d ask along Winston Churchill, Charles Darwin and Leonardo da Vinci. We’d begin with a vintage Champagne, probably Pol Roger as it’s Winston’s favourite, and would move on to my Devil Proof Malbec 2012, ending on a high note with Domaine de la Romanée-Conti 1949.